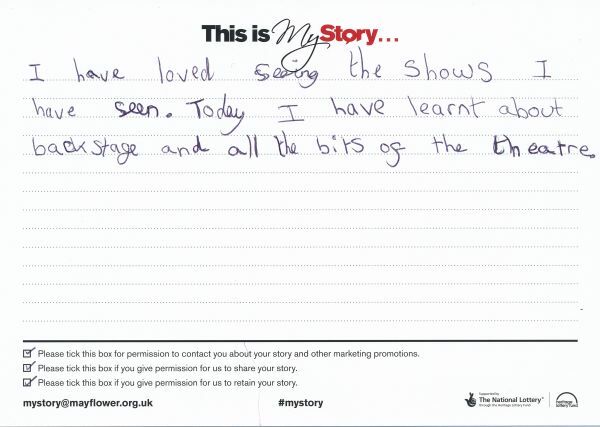 My Story card: Erin Hill remembers seeing lots of shows and going backstage. I have loved seeing the shows I have seen. Today I have learnt about backstage and all the bits of the theatre.